You are here: Home / Social / Content Shock – Did Social Media Change the Game? Content Shock – Did Social Media Change the Game? 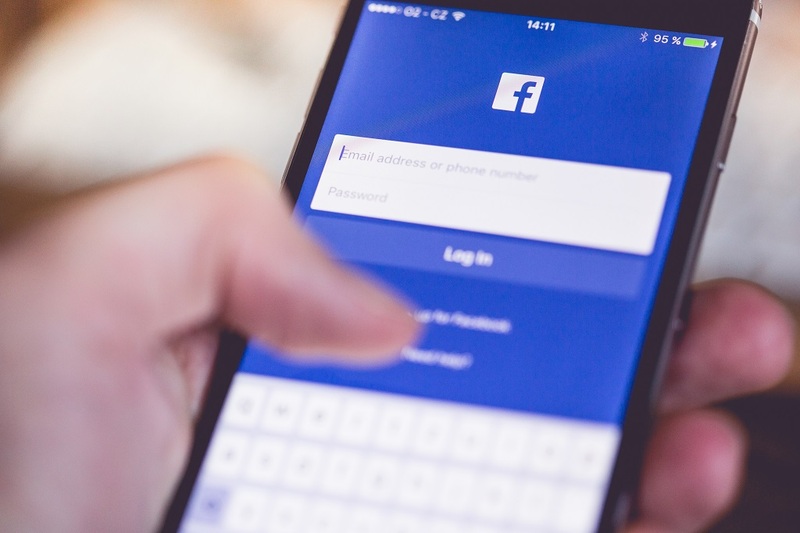 Content shock – did social media really change the game? Users’ activity via social media is growing fast and seems unstoppable. Social media are more powerful then ever. Nowadays people tend to turn to social platforms even to search and buy. What does it really mean for marketing? Content shock – what does it mean? Approximately 84.5% of daily active users are outside the US and Canada. The growing activity of social media users is a fact. And it’s true for the most of social media sites, not just Facebook. It may be the greatest challenge for marketers. People are creating so much content, that it becomes impossible to digest it all. Can you imagine that the amount of available web content is doubling every 9 to 24 months (source)? The increasing volume of content has already exceeded the abilities of human brain to consume it. Human brain has its finite capacity and each day has only 24 hours. The constant growth of amount of content and its unlimited consumption are not sustainable. It means, that it isn’t enough anymore to create content or to be on the Internet. It’s a very hard, demanding and time-consuming task to break through this mass of information with our message. Your content has to be valuable and the competition is fierce. It’s a huge challenge but also a great opportunity for digital marketers. Nowadays online marketing is based on delivering useful information, attracting attention and engaging users. To put it simply – it’s all about a high quality content (in the right place at the right time). You can find more about it in another article. So what people really do on the Internet? 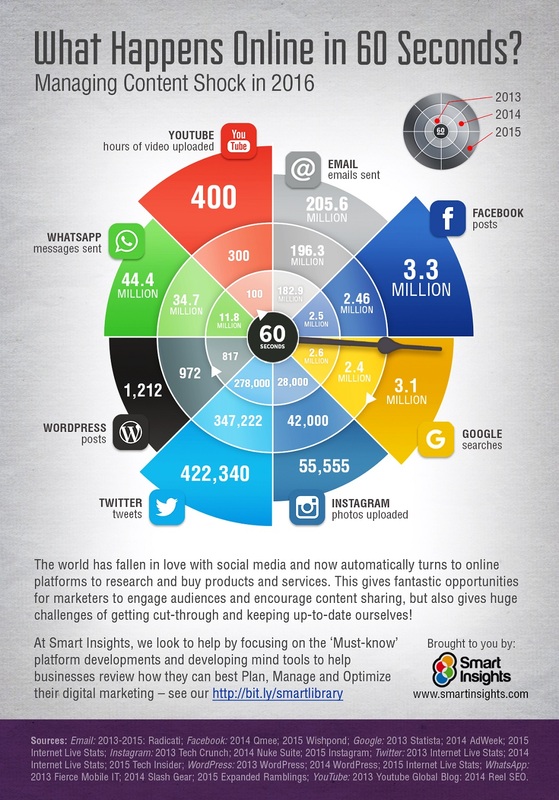 The infographic below, made by Smart Insights, describes what happens on the Internet in just one minute. You can see that social media platforms are more popular then ever and it’s a growing tendency. increased concern for security issues. I hope you find this post helpful. Tell me, what you do to increase your presence in social media. What is your experience? Which trends do you expect to hit the social media scene in 2016 or 2017?